At the end of January I blogged about Ole Henriksen's Seven skincare sensations set (post here). A few weeks back I started the whole routine, but unfortunately after a couple of days I had to stop using it and return to my previous routine to rescue my skin! So I thought I should write a post to explain why. 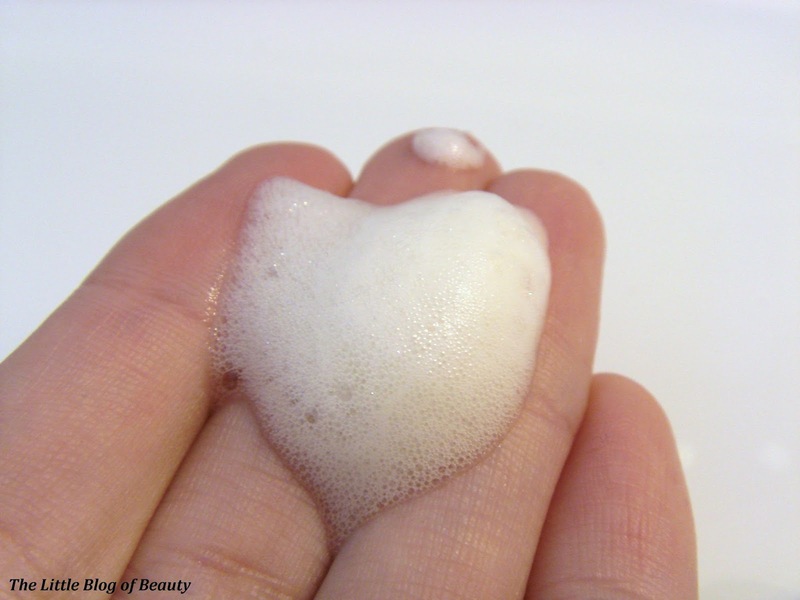 The product that I believe caused the problem was the African red tea foaming cleanser. First a little recap about the product. 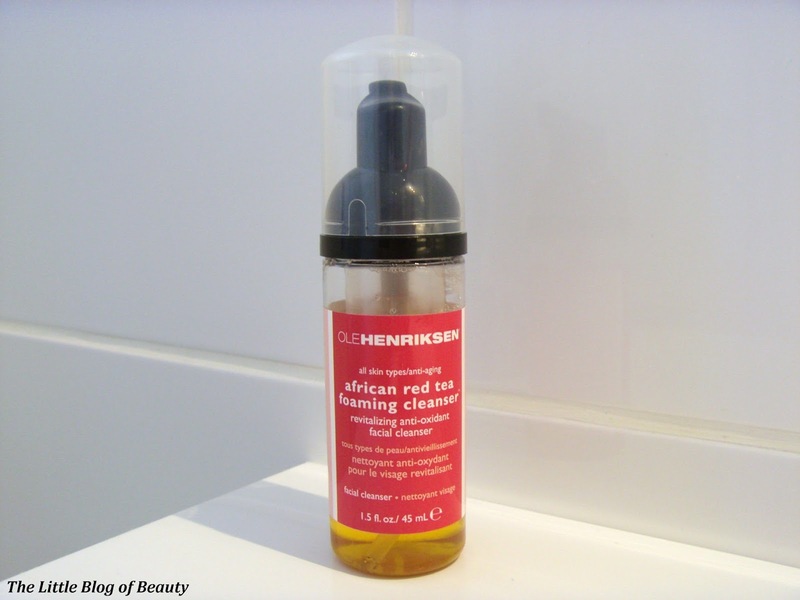 This contains African red tea and Vitamin C and is described as non-drying and gentle enough for sensitive skin but strong enough to remove makeup. Looking at this I thought the product looked very runny so was ready to try and make sure it didn't just slip through my fingers but then was very surprised to find that this actually comes out as a foam. I've never comes across a product like this before and I don't know what is in the lid of the bottle to make it do this. It does have a reasonably strong fragrance to it but I like the smell so this didn't bother me at all. The first time I used this I found that it did dry my skin out a little despite it being described as non-drying. But it didn't dry my skin out as much as other products have done in the past so I didn't worry too much and continued to use it in the morning and evening as directed. I have no idea how I didn't notice my skin getting so bad but one evening after using it I took a close up look in the bathroom mirror and my skin was so dehydrated it was actually kind of lined in a couple of areas (kind of like tissue paper looking) and just looked so dry and dull. How on earth did I not notice it getting that bad? I have no idea but I instantly stopped the whole routine and switched back to my previous routine to try and recover my skin and get some much needed moisture back in to it. At some point I will start the routine again, minus the cleanser, but I'm not sure when I'll be happy to switch back to trying it again. I'm not necessarily saying this is a bad product, I do actually quite like it, but it obviously doesn't work with my dry skin.